Your wedding speeches are one of the highlights during your wedding day, they connect your guests as they listen to stories, they gain more of an insight into your lives with your family and close friends and it makes them happy they are celebrating your special day with you. Speeches do bring a closeness and warm fuzzy feeling into the dynamics of a wedding day. I have listened to some wonderful stories recounting adventures my couples have shared, how they met, truly special moments and observe their families and close friends gather around them with tales to celebrate their special day. Speeches often include remembering loved ones who have passed away, lifetime achievements, special moments and lots of funny stories are revisited. It is, for me, a magical time during a wedding that truly personalises the day. 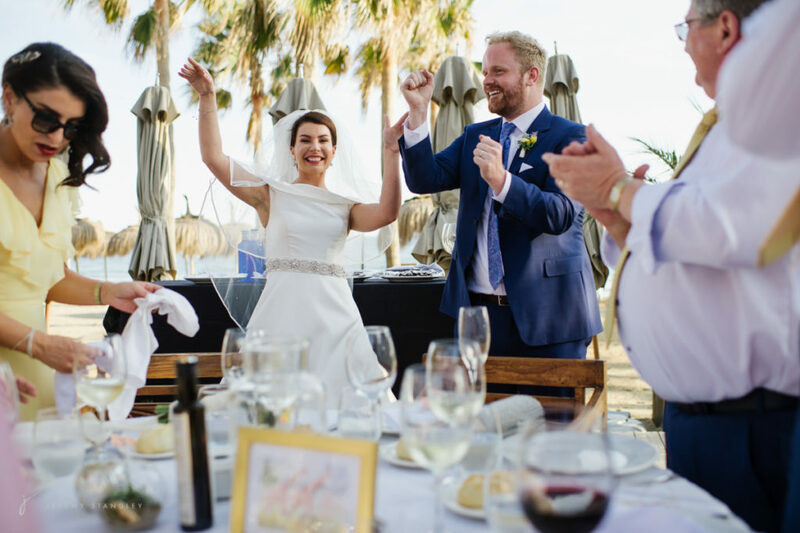 The speeches are sadly a wedding tradition that is often overlooked and left to the last minute, there is not much importance paid to them and yet it makes a wedding so special. I do always urge my couples to really consider the speeches, think about them, how long they will last for and who is doing them. Often when I bring up the subject of speeches the response is oh we will get this over and done with as soon as we can, this is a shame as it is such a wonderful occasion and many people want to express their feelings, at such an emotional event, as a wedding. I do also find that having dismissed the speeches and me addressing them my clients then really start to think about it and put some serious thought into them. Speeches can either be at the beginning of the meal, a popular choice as often they are considered to be best out the way, or you can do a few speeches between your courses. 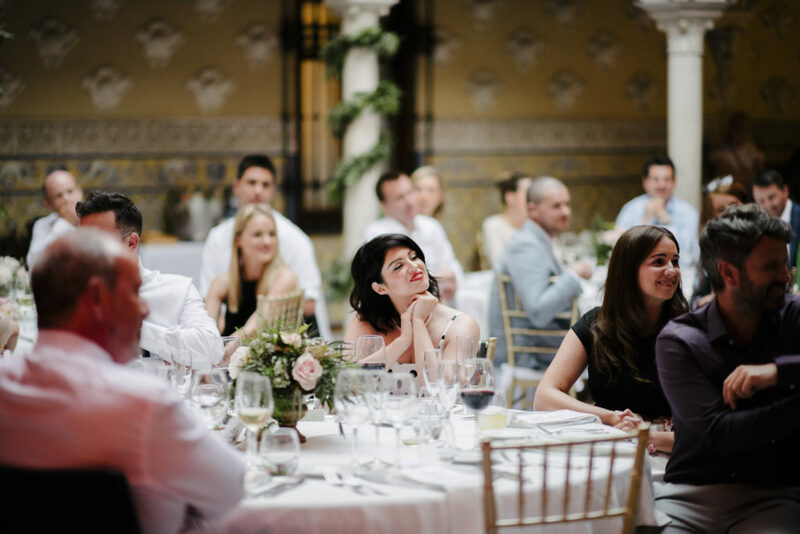 Do make sure the wedding planner and catering are aware when you plan to do them as you don´t want food bought out cold having had it sitting in the kitchens for 10 minutes waiting for a speech to finish. Build them into your wedding timeline and stick to it! Don´t overrun the timings as this will disrupt the catering. 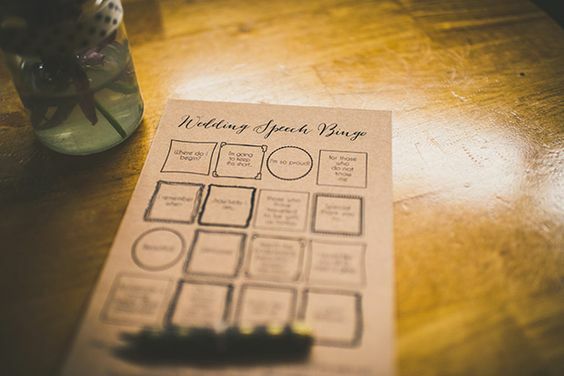 With speeches in mind, it is also a brilliant occasion to introduce a bit of light entertainment such as Wedding Speech Bingo cards. 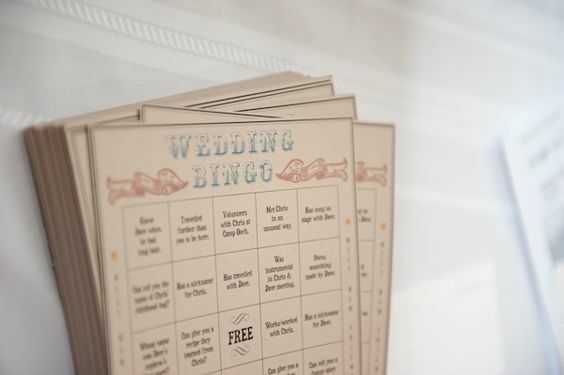 Wedding Speech Bingo cards are designed to get the party started and bring even more fun to your wedding speeches. You place out maybe 5 cards to a table of 10 guests, so they can share them and as they listen to the speeches they tick various boxes off their cards. Some random ideas are How lovely the bride looked tonight, Thanking everyone for travelling to their wedding, I remember when, I am sure you will all agree, these are just a few examples of what you can put on your wedding bingo cards and as soon as your guests hear things, during the speeches, that are listed on their cards they can tick them off. When they have a full card they shout Bingo! Given speeches are already such a fun part of your wedding this idea will just rock it! You can download our Wedding Bingo cards here, and you can adapt it to your own wedding. If you would like a personalised Wedding Bingo card then just email me and I would be delighted to create it for you.